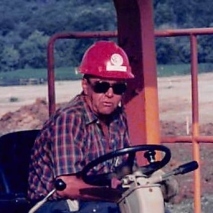 Raymond E. Cook Sr. 90 of Zanesville died 7:47 AM Monday, February 4, 2019 at the Genesis Health Care E.R. following a sudden illness. He was born January 27, 1929 in Chillicothe, the son of John Cook and Roxie Bridenbaugh Cook. Raymond was a Korean Conflict Army Veteran and Lifetime member of the Ohio Operating Engineers Local 18 District 3 and received his 60 years of service award last year. He really enjoyed his work along with fishing and hunting. He was a loving husband, father and grandfather. He is survived by his wife of 60 years, Elizabeth "Liz" (Partin) Cook whom he married, December 20th, 1958; Two sons, Raymond E. (Kim) Cook Jr. and Kenneth (Lois) Cook; 5 grandchildren, Mitchell Cook, Marcus (Michelle) Cook, Brittany Cook, Billy Miller and Mandi Miller; 7 great grandchildren, Kace Bowen, Emma Rivers, Anthony Rivers, Preston Cook, Shawn Denham Jr., Shadow Miller, Paige Novaria and Stephen Miller; a sister, Naomi Parker and a sister-in-law, Elsie Cook. Raymond was preceded in death by In addition to his parents were two brothers, Ralph and Homer Cook; 3 sisters, Kathleen Southward, Goldie Basye and Rubie Ray. Visitation will be held from 6:00 PM to 8:00 PM Wednesday, February 6, 2019 at the Bryan & Hardwick Funeral Home where funeral service will be held at 11:00 AM Thursday, February 7, 2019. Burial with Military honors will conclude at the Zanesville Memorial Park Cemetery. The Bryan & Hardwick Funeral Home, 2318 Maple Ave. Zanesville is in charge of the arrangements. To share memories and condolences with Raymond’s family please click on the Guest Book link on this page.